Relaxing Bath Time!! Rustic Bucket filled with Bath Glove, 100% Cotton Face Cloth, Alpen Secrets Bath Brush, Bath Products and Body Lotion, Lava Stone, Handmade Fruity Soap, and Tulip Tea Light Latern. Pure Pampering! 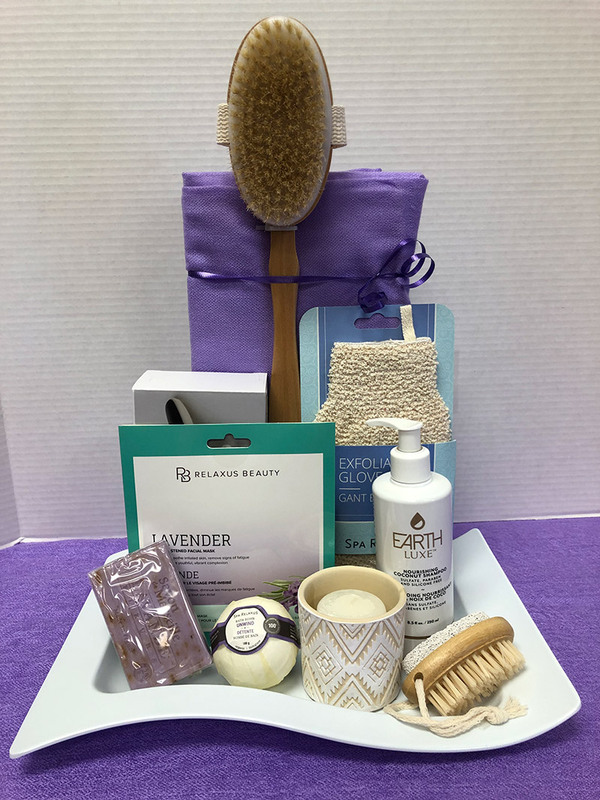 Crabtree & Evelyn Collection includes relaxing body lotion, body wash, antibacterial moisturizing hand gel, hand therapy, hand recovery, soap, candle and brush. 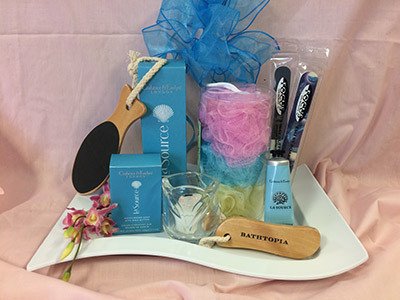 THYMES This lovely spa platter includes body lotion, bath salts, luxurious bath soap.........& numerous pampering items. 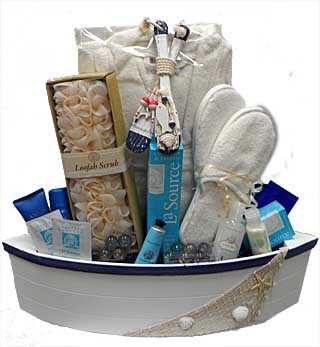 Ship ahoy....with lovely spa items, including the ones from Crabtree & Evelyn. 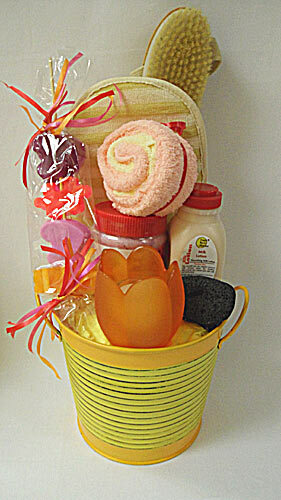 We can always add a special item to any Basket. Just give us a call and we will help you choose something wonderful. © 2010-2015 Panier du Village Inc. All rights reserved.